This shot is amazing love the detail..
Love this one. You definitely were rewarded for all effort you put into getting a daytime moon. Your moon shots are wonderful but I especially like this one with the blue sky and the way the moon seems to fade into the sky. You get amazing detail - I'd love to know what lens you are using. 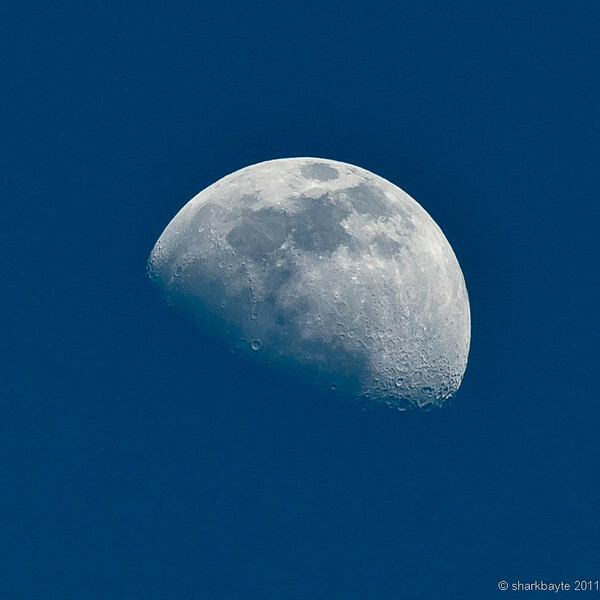 Wow, you have some excellent moon shots!